Hello, and welcome to a good old random roundup! I feel like I have deprived you guys of this post for awhile now. Not intentionally, of course. There just seems to be a lot of things I've been wanting to share with you guys that have taken up my Friday posts. But don't worry, it's back and will never go away! As with other random roundup posts, I am only linking to the items that are still available. I am down almost 16 pounds now since I started my fitness journey at the beginning of the year! It feels great because between the end of May and the end of July, my progress was stagnant. Work travel got a bit hectic for those few weeks, social gatherings were at an all time high, and to be honest, I was lucky to maintain my weight during that time, so I really can't complain for things leveling out for awhile there. I just did the best I could, tried to balance my eating as much as possible, especially when I couldn't work out. I finally broke through that plateau though thanks to my schedule getting back to normal and I'm now about 4 pounds from my original goal! I tell you all of this because it's been fun rediscovering things in my closet that fit a little more uncomfortably this time last year. It feels good to put things on and have them FIT and not feeling bloated. The bad thing is, old pieces for me means they are no longer shoppable for you, and I hate to tease you with all this sold-out goodness. But whether you can buy these pieces or not, I hope you can still pull other inspiration from them like color pairings or print mixes that you may not have otherwise thought of before! We are in the home stretch of the Anniversary Sale! I know, I'm sure you're relieved so everyone will stop talking about. But in case you're still hemming and hawing about what to buy, you can refer back to my haul posts here and here. Many of my picks have sold out, which makes me thankful that I was able to snag them when they were still here! 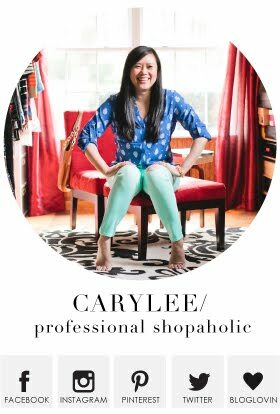 Lucky for you, this top (which I got in olive and blue) is still available. 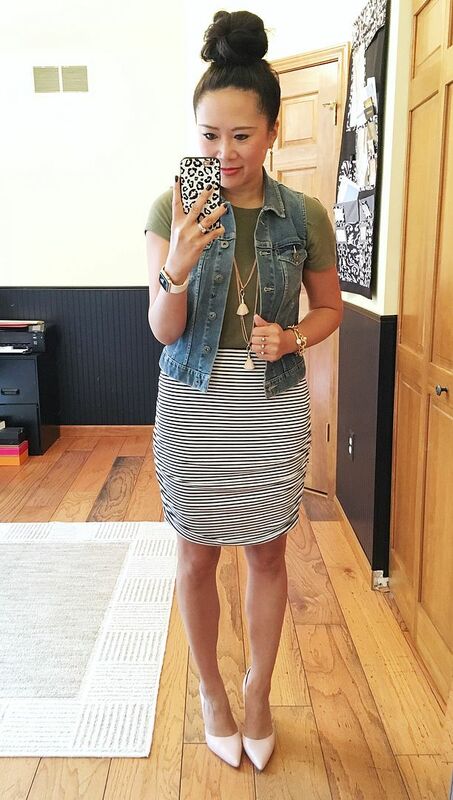 I love it tucked into skirts like with this outfit, but it's also perfect to just wear untucked with skinnies or leggings. 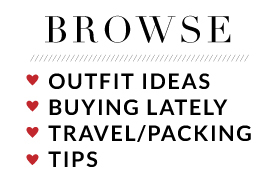 Oh, and also - did you catch my top knot tutorial this week? If not, you can see it HERE. These cami dresses at JCrew Factory really are my favorite. They're perfect for this ridiculously humid heat we have been having this summer. I definitely recommend stocking up on all of the colors/prints as you see them go on sale! For size reference, the 4 fits me perfectly and I'm a 33/34 bust and 26/27 waist. 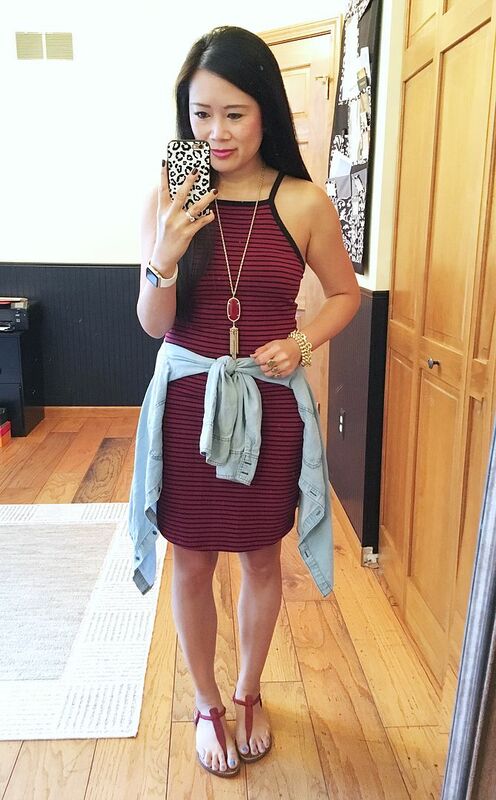 An outfit that you can replicate head to toe because things are still shoppable! YAY!! Easy dresses like this are such a must have for me in the summer. The button up around my waist is my substitute for a cardigan and is also a must have because it is incessantly cold indoors! I caved and bought my fourth pair of Sam Edelman Gigi sandals. They're the perfect simple sandal and I've been wanting a non-neutral color. This deep red suede is just what I've been looking for! And last but not least, my easy uniform which consists of a knotted tee and skinnies. I finally decided to do a dedicated post about my knot because I get asked about it often and it's easier to point someone to a blog post than dig through 3487834678 Instagram photos and find where I posted it last year! If you missed it, you can catch that faux knot tutorial HERE. Alright! That's all I have for you today! Hope you all have a fabulous weekend!!! 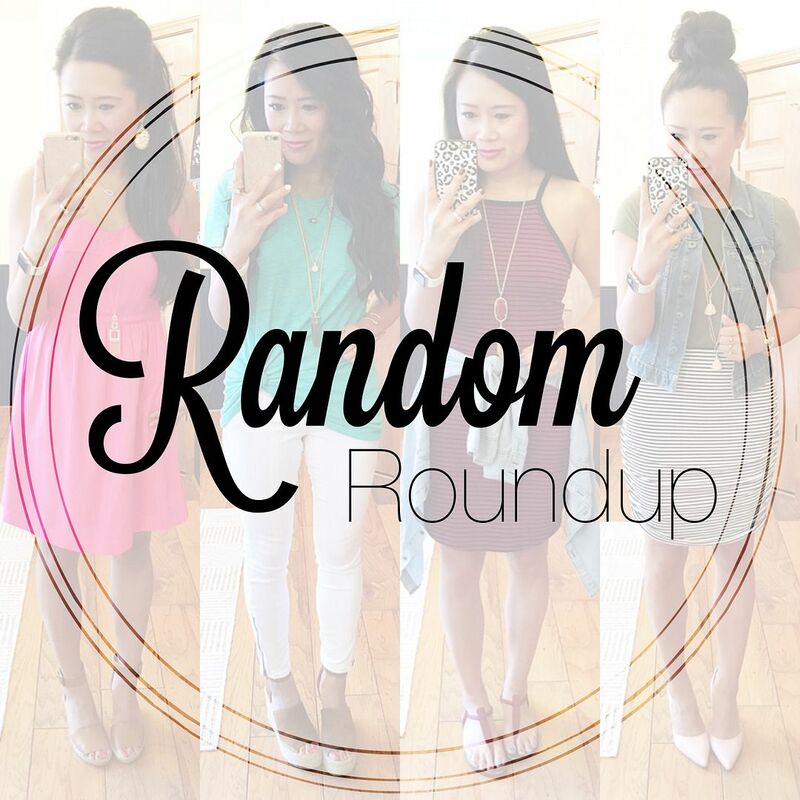 I love these roundups and every single outfit is super cute. Happy to see the return of the random roundup! And yep, color pairing inspo is always great even if the exact pieces are gone. Congrats on your continued fitness success! Maintaining in those times of extra social events + travel is a big deal! I love these looks! 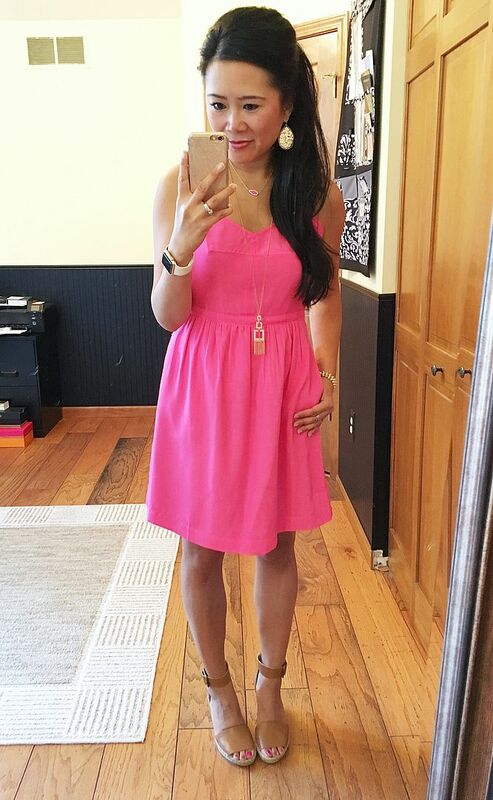 That pink dress! In love with that color on you!